Since 1976, In These Times has pressured Democrats for a more progressive agenda. Sometime in 1979 when I was 23, living in Columbia, Mo., and teaching peace studies at the University of Missouri, a young man knocked on my front door and introduced himself as Dave Rathke. He said he was from St. Louis and worked as an organizer for the Amalgamated Clothing and Textile Workers Union. He had gotten my address from the Democratic Socialist Organizing Committee (DSOC), an offshoot of the Socialist Party of Eugene V. Debs, to which we both belonged. That year, Sen. Ted Kennedy (D-Mass) decided to challenge President Jimmy Carter in the Democratic primary. Many DSOC elders were delighted—but I, along with the young members of my local DSOC chapter, considered Kennedy too middle of the road. With the help of friends from the local NOW chapter and the Central Missouri Labor Council, we commandeered the Boone County Democratic caucuses, shutting out Kennedy supporters and sending dissident “uncommitted” delegates to the 1980 state and national conventions. We were Berniecrats avant la lettre, and In These Times was the periodical we turned to as young people coming of age in the aftermath of the 1960s. In the summer of 1976, animated by a desire to help build a healthy progressive movement with an “intellectual center,” Weinstein and other members of the original ITT staff packed up their homes on the West Coast and moved to Chicago, a city with three things going for it: a low cost of living, a storied labor history and a location that was not the Bay Area, New York or Washington, D.C.—places that were, respectively, too enthralled with the counterculture, too burdened by the baggage of left history and too deep inside the belly of the beast. As a historian, Weinstein was interested in what could be learned from the experience of turn-of-the-century rabble-rousers like the Populists, Progressives and Socialists. These radical reformers (and their publications) were mobilized by the intolerable contradictions of the Gilded Age, an era in which an oligarchy luxuriated in ill-gotten riches while the majority endured a series of national economic crises. This was also the period in which the corporation came to dominate the American economy, and corporate entities were formally granted constitutional protections enjoyed by natural persons via the Supreme Court’s 1886 ruling in Santa Clara County v. Southern Pacific Railroad Company. 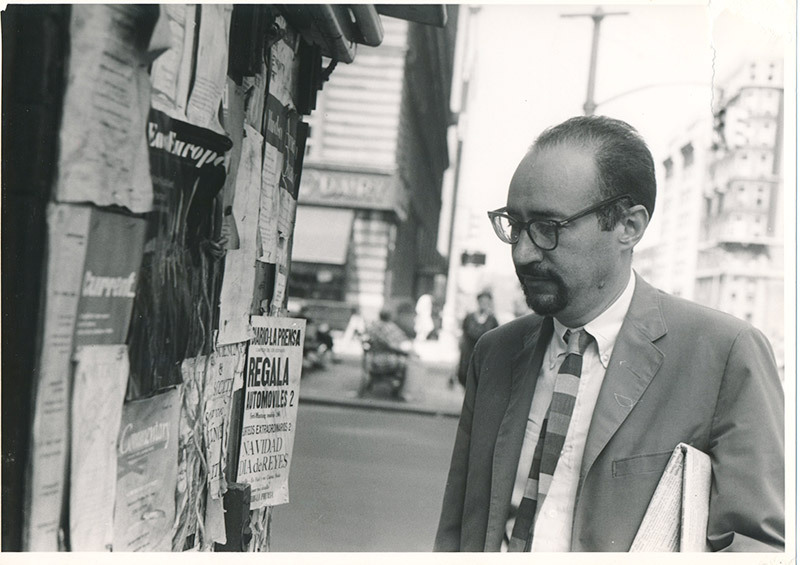 Through his research into the politics of this period, Weinstein came to appreciate the role the Socialist press played in confronting unbridled corporate power and informing social movements. He was particularly inspired by Appeal to Reason, a Socialist newspaper out of Girard, Kan., which hit a weekly circulation of 761,747 in 1913. The Appeal had published Upton Sinclair’s sensational novel The Jungle over the course of nine months in 1905. This exposé of the appalling working conditions and stomach-churning practices of Chicago’s meatpacking industry created a public uproar that led Congress to pass the Meat Inspection Act in 1906. Weinstein embraced what he saw as “democratic, decentralist and pluralistic” political culture of the early Socialist Party, which was founded by Eugene V. Debs, a former Democratic Indiana state representative, among others. The Socialist Party did not shy away from electoral politics. Debs would go on to be a five-time Socialist Party candidate for president, coming in fourth in the 1912 presidential election with 6 percent. He garnered 901,551 votes, one of which was cast by my grandfather, Walter F. Bleifuss, a farmer and physician in Olmsted County, Minn. Despite the Socialist Party’s success in electing two members of Congress and a smattering of state and local officials, it never gained a toehold in the national political landscape. This had little to do with its policies and everything to do with the U.S. electoral system. It’s called a “system” for a reason. Over the years it has been constructed to favor the Democratic and Republican parties, two quasi-public institutions, granting them a lock on electoral power. From this study of history, Weinstein understood that democratic socialist ideas would only enter the mainstream through candidates who ran as open socialists under the banner of the Democratic Party. Consequently, a founding tenet of ITT was its opposition to third-party electoral efforts­­­­—debilitating exercises that diverted progressive activists toward political dead ends. From the beginning, we made it a priority to cover the campaigns of change-making candidates who challenged the Democratic Party establishment. And once they were elected to office, we reported on their efforts to institute structural reforms like single-payer healthcare, getting private money out of public elections and addressing income inequality through progressive taxation. Though few of the elected public officials ITT championed openly embraced democratic socialism, all stood out as stalwart progressives. Status quo politics perpetuates the misery of most people and benefits only a very small group. Our politics have to be for change. The American reality is that money is concentrated in the hands of very few people, with the rest of us forced to fight each other for a share of what’s left. 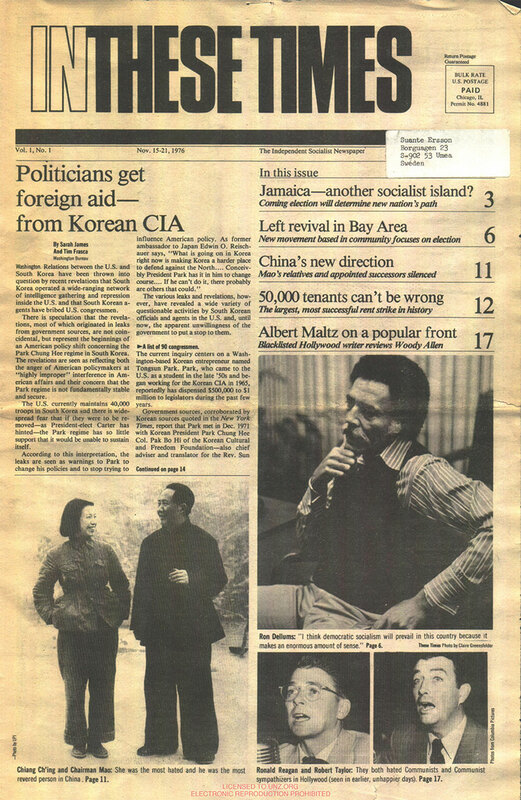 In 1991, Dellums would go on to found the Congressional Progressive Caucus with Reps. Bernie Sanders (I-Vt.), Lane Evans (D-Ill.), Thomas Andrews (D-Maine), Peter DeFazio (D-Ore.) and Maxine Waters (D-Calif.). Harold Washington was not openly socialist, but he was close to DSOC. In 1981, Washington, then a member of the House, served as the master of ceremonies at the Chicago chapter’s annual Norman Thomas-Eugene V. Debs Dinner. With the election of U.S. Rep. Harold Washington as mayor … Chicago voters turned back the tides of fear and racism that had been generated in the campaign and chose their first black mayor. Just as important, they also dealt a death blow to machine politics and established the beginnings of a new reform coalition that should shift the city—and possibly national politics—to the left. I learned some powerful lessons about the necessity of a left press during those first months of 1983. As the Chicago Sun-Times and Chicago Tribune meticulously missed the story of the most historic campaign in the city’s history, In These Times got it. Washington would be re-elected in 1987, but suffered a heart attack and died the following November. The Washington coalition fell apart and Chicago progressives would only begin to regroup in 2016 around the candidacy of Jesús “Chuy” García, who challenged Mayor Rahm Emanuel, a neoliberal corporate Democrat and the antithesis of all that ITT stands for. ITT first covered Dennis Kucinich in May 1977, when the 31-year-old Democratic clerk of courts was running for mayor of Cleveland and making a name for himself by opposing the sale of the city-owned Muny Light to the privately owned Cleveland Electric Illuminating Co. In 1996, Kucinich was elected to the House, where he would serve until 2013. He would also run for the Democratic nomination for president in 2004 and 2008 on a populist, antiwar platform. Ending the war in Iraq must be at the centerpiece of a campaign that includes standing for national healthcare and preserving Social Security. This is the constellation of issues with which Democrats can take back the country. I really strongly disagree with this concept that there’s a blue state and red state America. I believe that in every state in the country the vast majority of the people are working people. These are people who are struggling to keep their heads above water economically, these are people who want Social Security defended, they want to raise the minimum wage, they want changes in our trade policy. And to basically concede significant parts of America, including the South, to the right-wing is to me not only stupid politics, but even worse than that—you just do not turn your backs on millions and millions of working people. 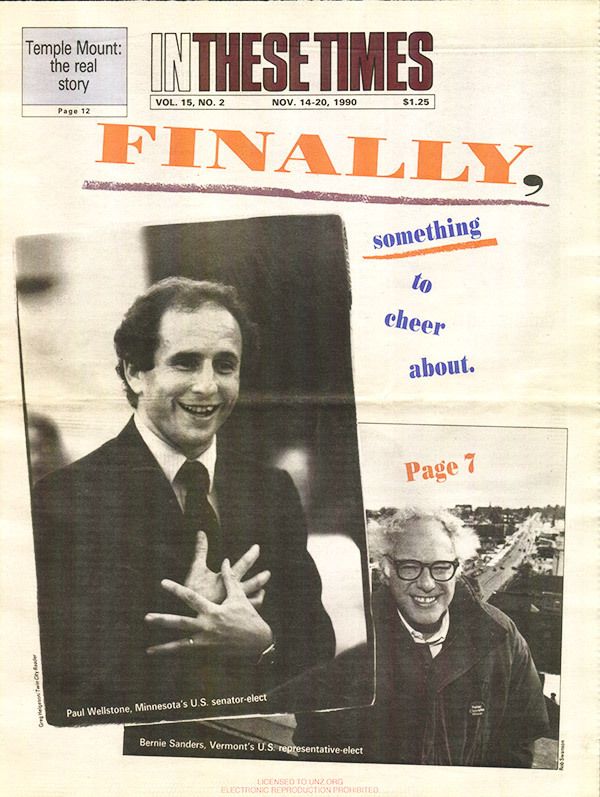 Readers of ITT knew who Wellstone was. A charter subscriber, he wrote his first story us in November 1978, a dispatch about a South African divestment protest at Carleton College, where he taught political science. We reported on his 1982 run for Minnesota state auditor (he lost). And we covered, in depth, his successful 1990 and 1996 campaigns for the U.S. Senate. The problem with marches and demonstrations is always that when the smoke clears not a lot has changed, so then the organizing work has to be done to really push the change. There is a disconnection right now between a lot of the issues in our communities and politics in Washington. And the way to make the connection is to start applying the tactics of community organizing to politics in Washington. The policy work and the intellectual work and the ideas that people in Washington work on are important too, but we can’t just make the fight in Washington. We have to galvanize people around the country. We have to get people organized, speaking for themselves and advocating for themselves. We have to build that grassroots politics again. Thanks to Bernie Sanders and his campaign for the 2016 Democratic nomination for president, political revolution is in the air, the grassroots are thriving.and democratic socialism is part of the nation’s discourse. Candidates like Zuckerman inspire In These Times. 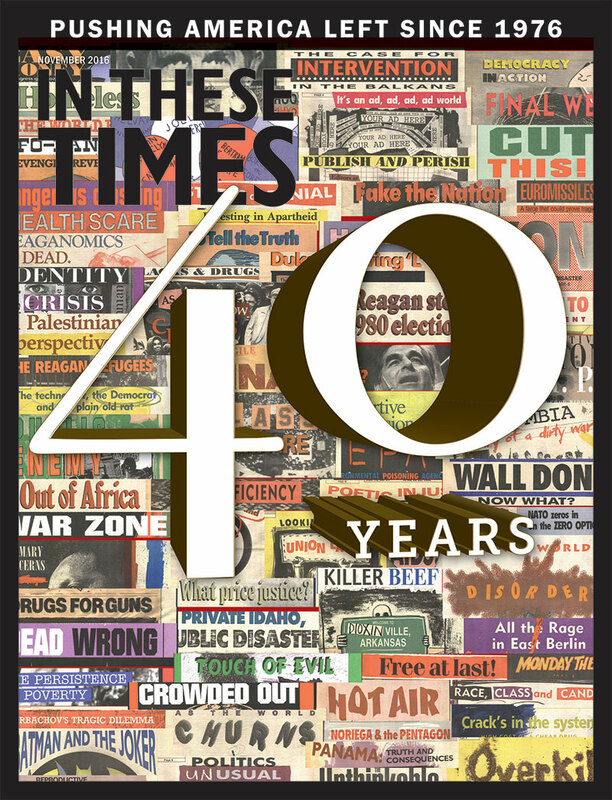 In the next 40 years we pledge to continue to report the stories that inform, educate and orient the progressive movement. Joel Bleifuss is a former director of the Peace Studies Program at the University of Missouri-Columbia, is the current the editor & publisher of In These Times, where he has worked since October 1986.